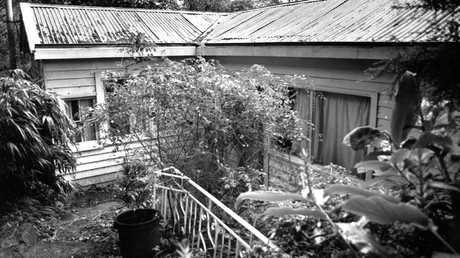 Moments before he was rescued from The Family, Australia's most infamous cult, Ben Shenton and his siblings thought they were about to be brutally punished again. The children, isolated from the outside world, had long perfected the art of silently playing cards when they were instead meant to be in the middle of long stints of enforced yoga. Shenton assumed the shuffling on the stairs was one of their "aunts" coming in to try to catch them in the disobedient act. Instead, the compound they were raised in was being raided by over one hundred Victorian Police, who surrounded the Lake Eildon property, and rescued the children. Shenton was only 15, and frightened by the "kaleidoscope of activities and emotions" unfolding. Clearly, these were the evil men the children had often been warned about, who, if anyone found out about their secret lives, would scoop them up in cloth bags, kidnap and beat them. 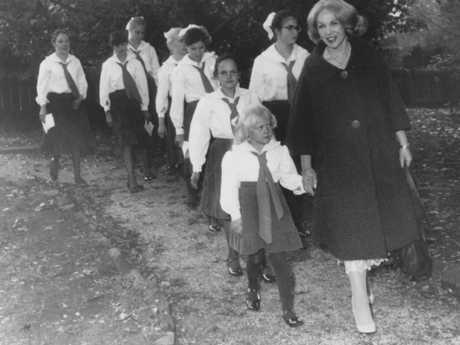 Some of the children take a walk with Anne Hamilton-Byrne, ‘The Family’ sect leader. Over the following days, Ben would learn a lot about his life. He would learn the woman he believed was his mother was in fact Anne Hamilton-Byrne, the most notorious cult leader in Australian history. He would learn that his name had been changed when he was 18 months old, along with that of his birth mother; one of many parents brainwashed into giving their children to Hamilton-Byrne to raise under abusive, oppressive conditions. 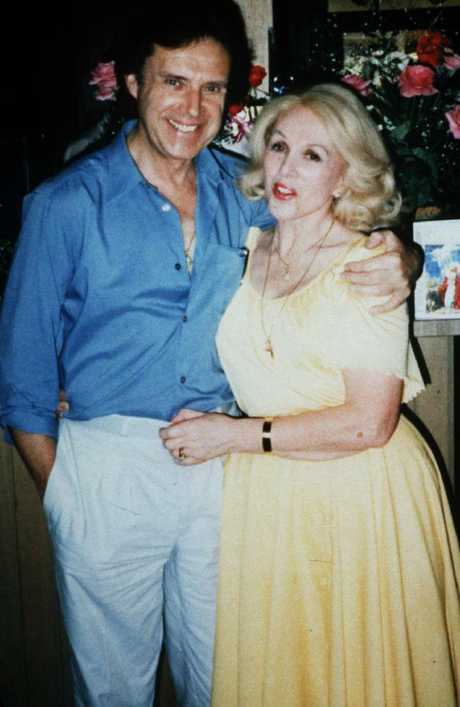 He would watch as Hamilton-Byrne and her husband fled the country, a country that became fascinated by his upbringing in "The Family", a cult that lived on an isolated three-acre compound named Kia Lama. Followers believed Hamilton-Byrne was the reincarnation of Jesus Christ, a living deity on par with only Buddha and Krishna. Ben would soon learn she wasn't. He would learn more over the years, things that drove him to dark places. At the time the cops swooped, at 7.30 on an average morning, he believed Hamilton-Byrne was his mother. But he knew something was amiss. The Family was formed in 1963 by Anne Hamilton-Byrne, a charismatic yoga instructor. 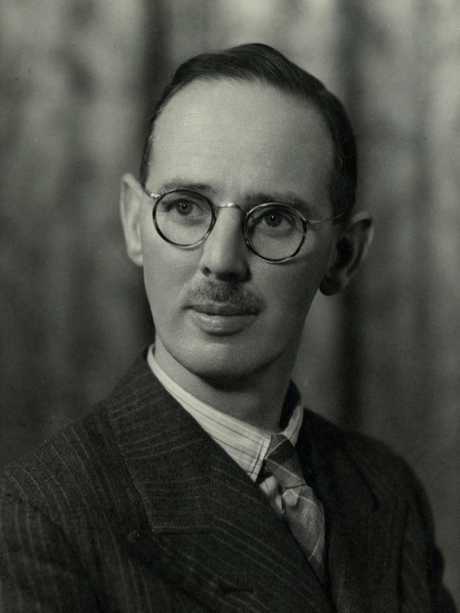 The previous year, she had met the master of Queens College at Melbourne University, physicist Dr Raynor Johnson, and although they met through her husband, Johnson quickly fell under her spell. He believed her when she told him she was the reincarnation of Jesus Christ. 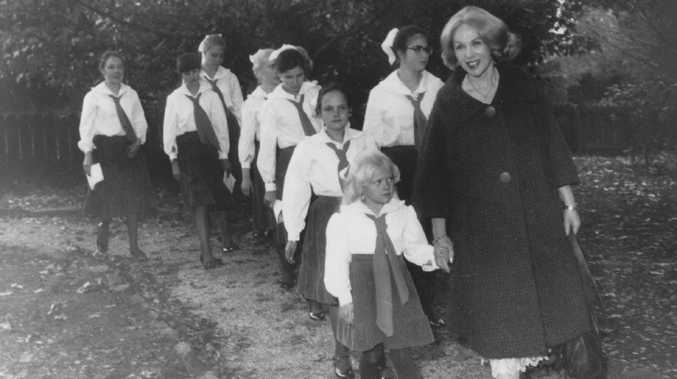 By this point, Hamilton-Byrne had parlayed her regular yoga and meditation classes into a religious group of sorts, her disciples first meeting in Johnson's living room every week, then three times a week, then on a newly-purchased block of land opposite Johnson's house, where they set up their first lodge. The Family soon moved in. 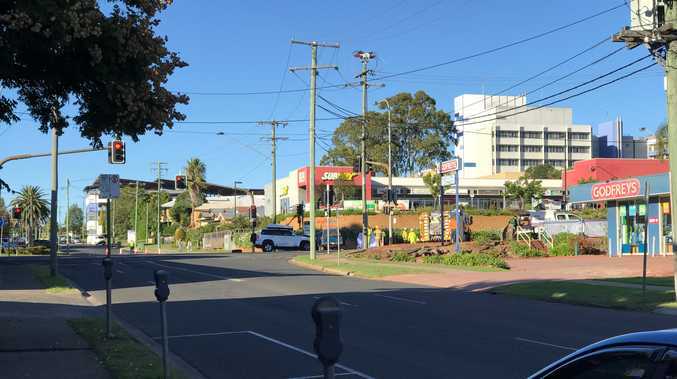 They started to recruit patients from Newhaven Hospital in Kew, a private psychiatric facility run and operated by various members of The Family, who targeted vulnerable patients, subjecting them to heavy doses of LSD, and electroshock therapy. Hamilton-Byrne also sought out lost single mothers from wealthy families, who looked to her as a saviour. They gave over their cash, and their children, and became convinced that Christ, using Hamilton-Byrne as his vessel, would see they inherited the earth. She built a family unit, by decimating all traditional modes of family. 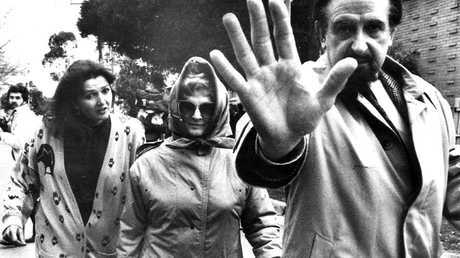 In 1968, Hamilton-Byrne started to adopt children through even more nefarious modes, using lawyers, social workers, and doctors to forgo official channels. They forged birth documents and raised over a dozen children to believe they were the birth children of the Hamilton-Byrnes. When children were born within the compound to cult members, they were raised to believe their birth mothers were instead among a handful of "aunts", who metered out brutal physical punishments for sins real and imagined. The children were raised in isolation, denied access to the outside world, and forced to endure long medical experiments. 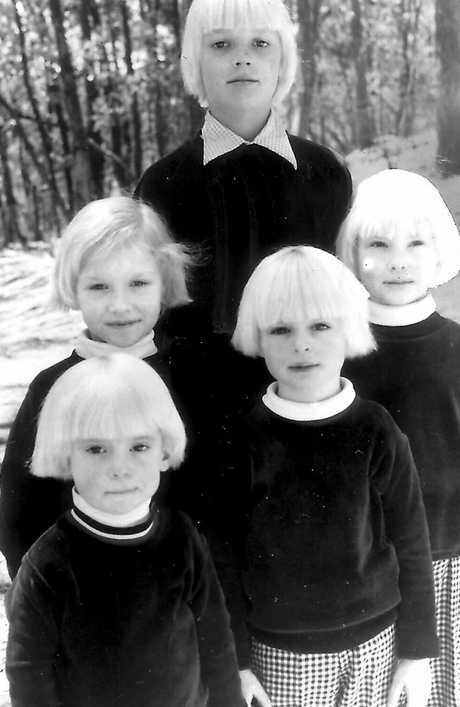 Hamilton-Byrne dyed all the children's hair peroxide blonde and gave them spooky identical bowl haircuts. 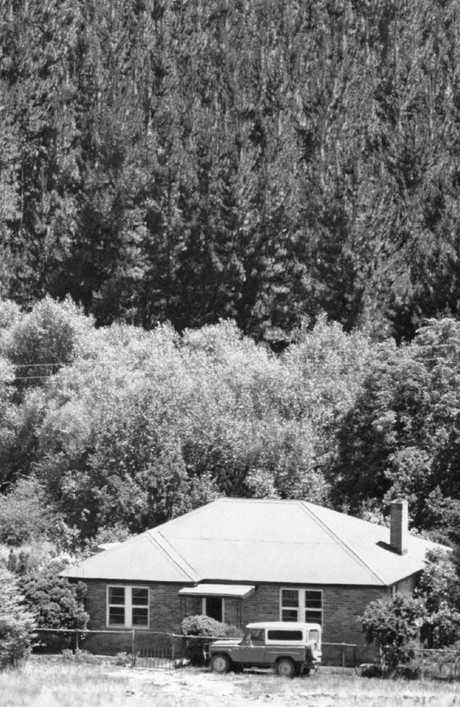 One of the houses, at Ferny Creek in the Dandenongs, where ‘The Family’ cult lived. Upon reaching a certain age, they were exposed to extreme doses of LSD as part of an initiation ritual; from birth they were kept on an unregulated cocktail of benzols, antipsychotics, and antidepressants - many of which were traditionally used to medicate schizophrenics. The cult lived by the code "unseen, unheard, unknown", less a mantra than a strict edict imposed by Hamilton-Byrne, who explained her teachings were passed down by an enlightened master, and therefore "secret work that society wasn't ready to accept". Thus the need for extreme privacy measures: barbed wire fences, big brown gates which promised that trespassers would be prosecuted, and a compound that was bordered on three sides by a lake. 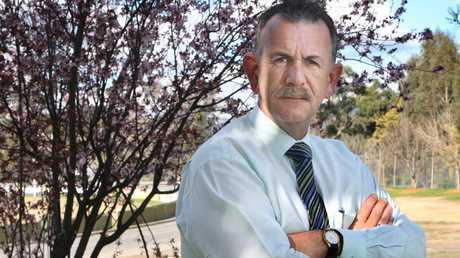 "In reality, what she was doing was illegal," Mr Shenton tells news.com.au. 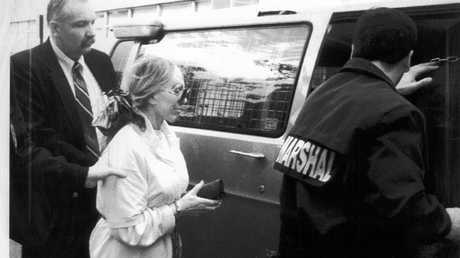 "If the authorities knew they would have arrested her and her cronies, shut her down, and removed the money she solicited from wealthy members through false claims." Anyone who shared details of life within the compound was "severely punished". After every rare interaction with an outsider, Mr Shenton would run the conversation back through his head to ensure he hadn't revealed anything forbidden. "No non-cult member was invited into a cult property without the express permission of Hamilton-Byrne or that was an immediate excommunication offence," he remembers. Ben Shenton was only a teenager when he left The Family, and struggled to assimilate within society. The one freedom the children enjoyed was access to a library of literature. While they were sheltered from the increasing media coverage of The Family, Mr Shenton read about World War II and concentration camps, and drew parallels between this lifestyle and his own restrictions. "We didn't leave the compound and had to be secretive, weren't allowed to go anywhere without a chaperone," he recalls. "All these things began to register - this wasn't what other children went through in life." Knowledge of the gulf between their own lives and those of other children continued to creep into the compound. Hamilton-Byrne once allowed the older girls to attend a dance class, and they returned with heady tales of students from a nearby school. They learned of sleepovers and other childhood follies, and it was a revelation. 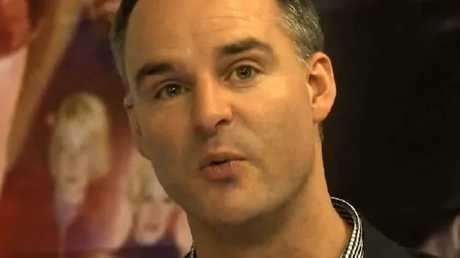 "We were very aware how different our lives were," says Mr Shenton. The World War II analogy stuck, and spread. "I would have been around 10 when we began to refer to the cult compound as the 'Concentration Camp'. My home, from my earliest memories, up until I was 15 years old," he adds. The memories are extremely painful ones. 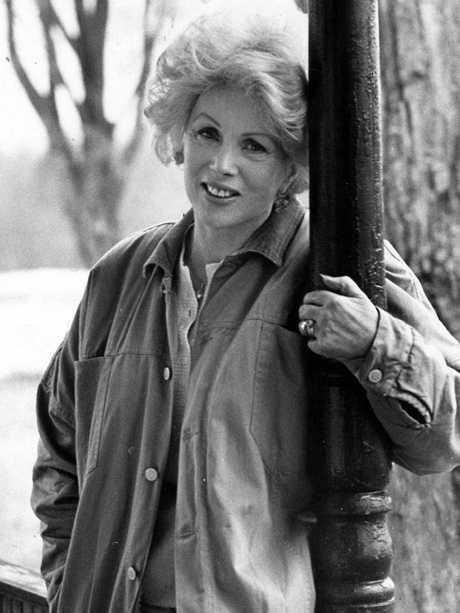 Hamilton-Byrne ran The Family, along with her late husband Bill. Mr Shenton tells of horrendous occurrences - "water torture, beltings, missing out on meals for days on end, loss of the meagre privileges we had, fingers being held over candles" - and explains how Hamilton-Byrne would weed out the culprits of various misdeeds by inflicting group inquisition sessions and doling out physical punishment, until the perpetrator would confess. While other children would rebel and cop brutal beatings, he dealt with this situation through compliance, telling on his siblings in order to limit the overall torture. Not surprisingly, this technique saw his relationships with the others dwindle. "I was rightfully treated as the 'snitch' and ostracised", he remembered, "with any hope or ability of bonding with my peers not possible." Furthermore, Hamilton-Byrne used to discourage friendships between the children, clocking any close relationships that formed and quickly separating those who conspired to bond. "The Family" resembled anything but. "The role of a family and caring parents is to give children the social and character skills required to function in society and self-replicate through to the next generation," Mr Shenton reasons. "To give them a set of brakes so they aren't ruled by their immediate appetites and emotions. "None of this was done for me. 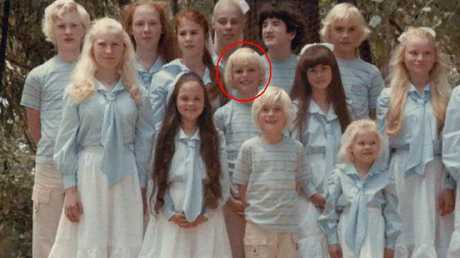 At 15, I was released into society with no social skills, a deep desire to be accepted, no sporting ability that could be used to fit in …"
Mr Shenton (circled) as a child, dressed in matching outfits with his brothers and sisters. The following years of relative freedom were tough on Mr Shenton, as he was thrown into real life without any of the fundamental building blocks. He struggled to understand the complex systems in place in the teenage world, but remained ignorant of this at first. "I didn't know what was missing," he explains. "In fact, I thought I had a head start in life and a huge advantage because I'd been brought up believing that what we were taught and the way of life we lived was the best possible." His instincts weren't tempered by a conventional upbringing and he admits he had "no ability to say no to myself and see the need for delayed gratification". His odd ways meant he struggled to make and keep friends. As he "wanted but lacked the ability to get", he sunk into a deep depression which lasted a year. "I seriously considered how to end the daily torment and abject failure that I was," he says about this dark period. During this time he was living at the St John Home for Boys and Girls with a number of the other children he was raised with, and previously believed to be his siblings. In the intervening years, he had become increasingly close to the two "cottage parents" who had been looking after him, and was devastated when they were suddenly fired. Three of the older girls had made claims of inappropriate behaviour, in what Mr Shenton claims was a vengeful move, after the couple suggested splitting the children based on age. This sent a fissure through the group of children. After the police raided the property in 1987, a number of the children (including Ben Shenton) were moved into a children’s home. "I was shattered, felt betrayed and wanted nothing to do with the rest of them," recalls Mr Shenton. He asked to be placed into foster care, and was soon removed from his "brothers and sisters". While relationships between the children of The Family has improved over the years, Mr Shenton admits contact is sparse. "We only have our childhood in common and no reason to gather, as we aren't family." Everything came to a head for a teenage Ben during a Year 11 school trip around Central Australia, when he found himself completely ostracised. As he broke down in tears, "realising that life wasn't working" he resolved to fill the gaps in his emotional and social knowledge. "I came back from that trip knowing that I didn't have the answers and then set about finding out what worked and how to implement it. "I looked at outcomes people got in life, dialled into how they got them, what the practices were to get them, and then made a valued decision on pursuing it." While still in his teens, he made a decision "to release Anne from the debt she owed me for this crime" and to move forward with purpose. By the age of 18, Mr Shenton had "found the truth and a clear path". Mr Shenton’s mother Joy Travellyn (centre) was one of the seven female members of The Family who were convicted and sentenced at Ringwood Court for having defrauded the Federal Government of $195,507. The women were released on bail pending appeals. 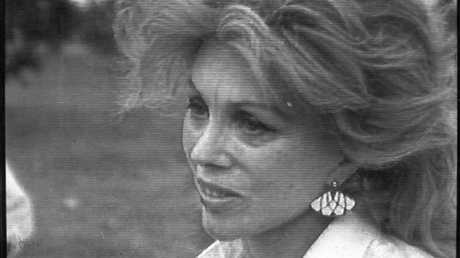 Joy Travellyn came from a well-respected Melbourne Jewish family. She was raised on tales of her father's heroics, he being "responsible for rescuing hundreds of Jews from Germany" during the war. She went to a Christian school but found the discrepancies between the two faiths "very difficult to process" and began seeking answers from an early age. She was married young, to a man Mr Shenton says "had issues", and struggled to raise three sons with little emotional support. In the early 1960s, a car accident gave her severe whiplash. As conventional medicine failed to ease her suffering, she was advised to try yoga. As it happened, her mother already attended yoga classes at Torrah Presbyterian Hall, and so Joy went along. This is where she met Hamilton-Byrne. Hamilton-Byrne had built a thriving yoga business throughout Victoria, and would travel from her base in Melbourne to regional Victoria to give classes and train other teachers to use her techniques. She would also dispense literature, which Joy, trapped in a failing marriage and seeking guidance, would devour. Hamilton-Byrne convinced Ben’s birth mother, Joy, that she could heal her. When she did, his mother had no doubt Hamilton-Byrne was the true messiah. By 1964, Ms Travellyn was bedridden due to her neck pain. She exhausted the ability of various specialists in Melbourne, none of whom could help ease the pain, while x-rays sent to the Mayo Clinic in the US yielded no hope. "The day before Joy was about to go into hospital for exploratory surgery, Anne came to her house and told her if she was willing to follow her she would heal her," Mr Shenton explains. Hamilton-Byrne had past form in the car accident healing game. The previous year, her own daughter was in a major collision and suffered compound fractures to the base of her skull. Through "spirit help and prayers" led by Hamilton-Byrne, her daughter walked out of hospital within a week of the accident. "My mother agreed (to follow her) and Anne put her in prayers and light," Mr Shenton continues. Within six weeks, Ms Travellyn was up and walking. "This was nothing short of miraculous and convinced her Anne was the real deal." Coupled with this healing power and the literature she was reading, his mother soon became convinced Hamilton-Byrne "was the reincarnation of the Christ spirit that would cancel out all her past karma". Anne Hamilton-Byrne became his mother. Ben Shenton still has faith. He refers to it as "the currency of life" and believes that everyone holds faith, in various aspects of their lives. He runs an organisation called Rescue The Family, which shares lessons learnt through his unique upbringing, and the intense research he later undertook into family structures and how they are built and broken. "My aim is to explain what the purpose of a family is," he says of his mission, "the roles in it, the forces at play in the world that seek to rip this apart, and how to ward against them." By highlighting dangerous ideologies and negative methods often used to raise children, Mr Shenton hopes to protect further generations against the addictions and depression that he believes is a result of a broken upbringing. "These are endemic issues that cross the cultural divide and exist in many countries I've travelled to," he explains. He is deeply knowledgeable on the subject of persuasion. He references the late American evangelist Billy Graham, who pulled just under a million worshippers when he visited Sydney in 1959, and links it to the furore over The Beatles just five years later. He explains that when The Beatles flew East to embrace transcendental meditation and hang with the Maharishi at an Indian ashram, it coincided with the acceleration of cults such as The Family. Former Policeman Lex De Man pursued ‘The Family’ cult leader Hamilton-Byrne, leading the raid that led to the children’s rescue. He now works for the CFA. Picture: Paul Trezise. He draws threads through the activism around the Vietnam War, the spread of communism, and various other forms of groupthink, and dismissively refers to Hamilton-Byrne as a mere "pawn in the battle over the souls of humanity in the biggest spike of human population after the devastation of World War II". It's heady stuff. Mr Shenton's own faith was hard-won, given his early experiences. "I was extremely wary," he admits. "You can be sincere but sincerely wrong and just because everyone you know agrees with you doesn't make what they believe true. "We all revere someone and or something. Humans are wired this way. The problem is what we make the object of that respect, deference and adulation." His hope is that education will not only mitigate the harm done to improperly raised children, but act to erase it in future generations. "If people are aware of what the end game is, and what is involved in getting there, then people are protected: Families receive, create, and pass on healthy cultures - and therefore society as a whole isn't ravaged with suicides, substance abuse, or entitlement mentality." This will stop members of society becoming what Mr Shenton calls "the prey of cults". It's a lofty goal. But he has faith in his mission. 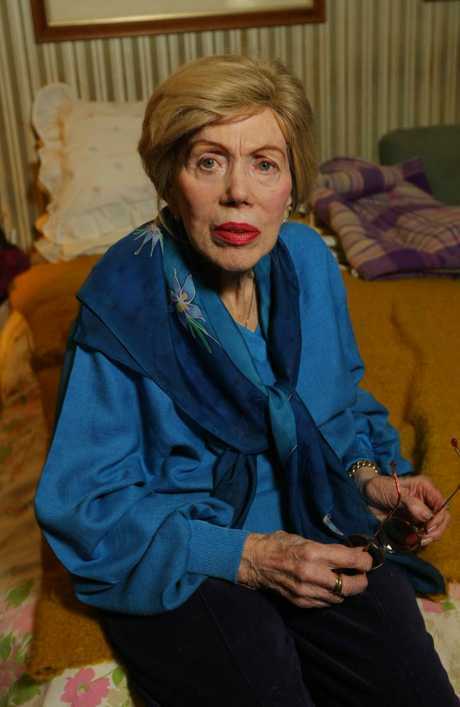 Hamilton-Byrne, former leader of The Family, is now a frail old lady in a Melbourne nursing home. 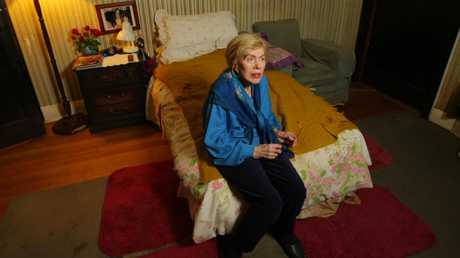 She was 87 when this picture was taken (in 2009). Hamilton-Byrne reportedly rarely leaves this room and has boarded it up in near total darkness. Mr Shenton and his birth mother last visited Anne Hamilton-Byrne in 2012. This was no longer the terrorising figure from his early childhood, but a frail old lady, in a nursing home, with late-stage dementia. Ms Travellyn was "very worshipful towards her," still crediting Hamilton-Byrne with saving her life, a claim Mr Shenton cannot refute. "I fully understand the emotional and spiritual connection," he admits. He remains in regular contact with his mother, who now lives in the UK. Mr Shenton lives in Perth with wife Rajes and "two well-adjusted teenagers" Ellie and Callum, and keeps his mother abreast of any family news. "I don't have the traditional mother and son bond because that was stolen from us, but I do have a deep love, respect, concern, and desire to help her in whatever way I can," he explains. Ms Travellyn has never been fully convinced that The Family was any kind of hoax or brainwashing exercise, only going so far as to admit Hamilton-Byrne "must have been flawed to begin with". Hamilton-Byrne fled to the USA after allegations of child abuse at the Kia Lama lodge and other properties before being extradited back to Australia in 1993. The pain she suffered at the hands of Hamilton-Byrne only strengthened her belief in the overall concept of the teachings, the kind of circular logic that exasperates. "The biggest tragedy is that her worldview, taken from Eastern mysticism, validates the journey she has been on with all the setbacks and things stolen from her," Mr Shenton explains. "She sees this as what she had to pay for from previous lifetimes and the lessons she has had to learn." He has long learned to live with the gulf between their world views - and to avoid topics relating to his past treatment. "There is nothing gained by holding her hand to the flame because it won't take us back to the time when she broke things, or fix what she broke. "The season of life where this could have been accomplished has well and truly passed." The way in which Mr Shenton is able to view and forgive his mother is remarkable. His resolutions in the matter are a result of deep excavation. "Judging your parents and knowing their frailties and failures is one of the most difficult things to do," he admits. "To then be able to reach past the shortcomings and treat them with dignity and respect is the least I can do. Everyone deserves a second chance and the ability to be restored and receive back that which is stolen from them by their own decisions. "I grieve for what was lost, and direct my energies in ensuring that people are made aware of the dangerous belief systems that promise, but don't deliver, and are designed to deceive." "My anger is directed at the source, the devil, and not the victim, my mother." - Nathan Jolly is a Sydney-based writer who specialises in pop culture, music history, true crime and true romance. Follow him on Twitter @nathanjolly. Hamilton-Byrne turned the regular attendees of her yoga and meditation classes into followers. 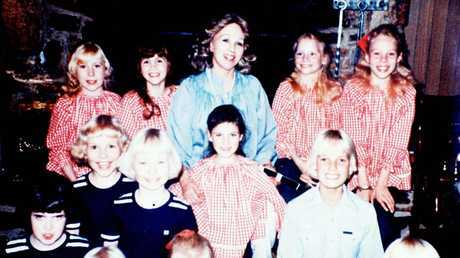 Children of the cult were given matching hairstyles and led to believe Hamilton-Byrne was their birth mother. Mr Shenton recalls feeling like an outcast among his many ‘siblings’.